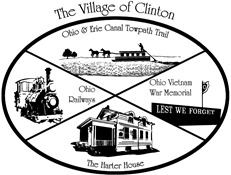 2018 CLINTON COMMUNITY YARD SALE!!! IT’S THAT TIME OF YEAR, AGAIN!! THE THIRD SATURDAY IN JULY IS ALWAYS “YARDSALE” DAY IN THE VILLAGE OF CLINTON. RESIDENTS ARE ENCOURAGED TO GET YOUR SALE ON! !